Alan and Gail have been married since March 12, 1994. They have three amazing children, Maegan (26), Graham (23) and Lillian (20). 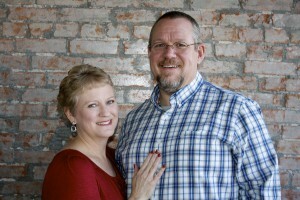 Alan joined the staff of First Baptist in October of 2004 after serving as Associate Pastor at Temple Baptist in Amarillo for eight and a half years. Alan has been in ministry for the past 30 years, earning a Bachelor's Degree, a Master's of Christian Ministry and a Master's in Counseling all from Wayland Baptist University. Alan is available as a Pastoral Counselor to those in need. Alan's passion in ministry is teaching and leading others to realize that we serve a Perfect Father in a flawed world. Encouraging others to live out their faith in the midst of the real world.